The legislation, which will be enforced as of May 1, 2016, will aim to protect the maritime environment and ensure sustainable exploitation of the nation’s marine resources. According to national news outlet, Xinhua, the government is attempting to encourage and support international cooperation on the exploration, exploitation and surveys of deep seafloor resources while trying to boost efforts on environmental protection, scientific research and educational training. The new rules will require deep seabed prospectors to submit their plans to maritime authorities, to await approval. Once this has been granted, the plans can be submitted to the International Seabed Authority. Fines associated with the legislation could reach US$150,000 for contractors if the area is polluted as a result of their activity. 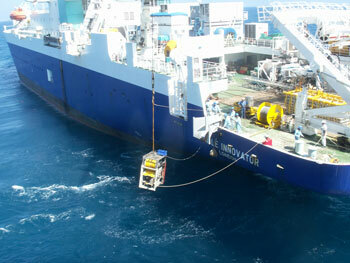 The law additionally mandates the Chinese government to develop deep-sea technology according to Xinhua. The State’s Oceanic Administration had voiced fears that the country was well behind other developed nations in terms of technology.